'Boring' Singapore City Photo: Things of the past.. Many Chinese families have an annual 'clean up' (Da Shao Chu) just before the Lunar New Year. Guess what I found? 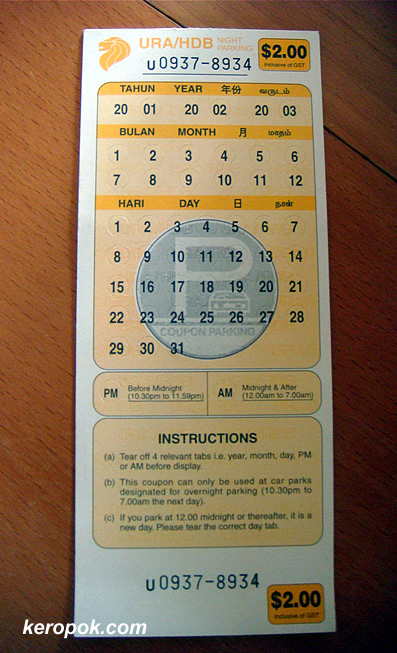 Night parking coupons from long ago. A whole unused stack of it.